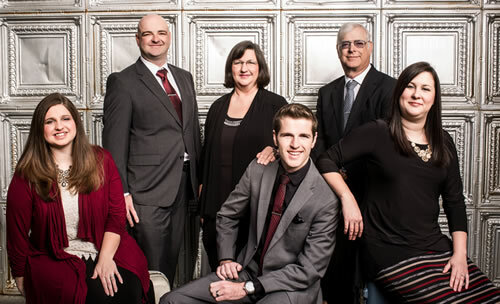 Tight family harmony, inspirational testimonies and a classic Southern Gospel sound characterize the Mattingly Family ministry. Since their inception in 1974, Jim and Ruby Mattingly's message has been the same. They strive to make the gospel of Jesus Christ foremost, and to encourage pastors, churches and families wherever He leads them. They make their home in Moody, MO, but spend three hundred days a year traveling and singing. Averaging one hundred and eighty concerts each year, the Lord continues to bless their ministry. "The Lord is working and moving and we just feel honored to be along for the ride," says Jim. The group consists of father and mother, Jim and Ruby, and three of their six children, Jeremiah, Ruth Ann and Jonathan, and Jonathan's wife Sarah.